Put the potatoes with the skin in a pan, cover with water, bring to a boil and cook until they are cooked, drain the potatoes and remove the skin. Heat a frying pan with a little olive oil and add the potatoes. 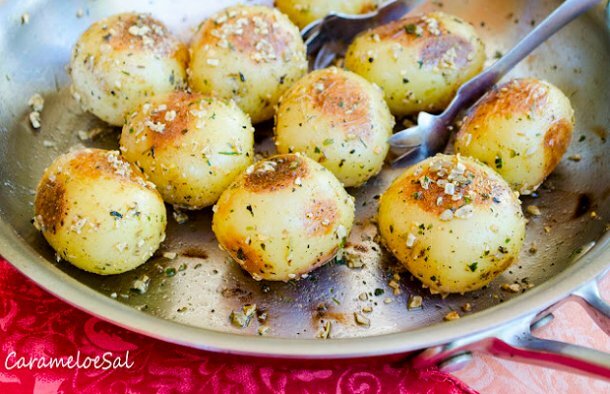 Move the potatoes to one side of the pan, add a little more olive oil on the other side of the same frying pan, add the garlic there and let it brown, than add the rosemary, salt, pepper and mix the seasonings with the potatoes.